So I, not having read the full description, assumed ultimate red meant extra strength. This is red and tinted!! 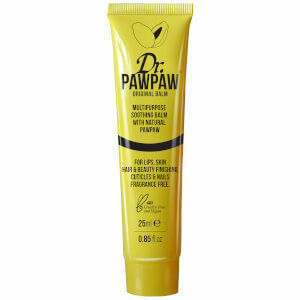 It’s actualky lovely as you can use it to moisturise and add that touch of lovely colour which is also buildable I feel. Only downside for me was that I couldn’t use it for my fingers if I ever needed to as I could with the original. Still liked it more than enough to keep it and for those who like a natural blush, you can use this on cheeks too (I have naturally flushed cheeks so would not be using that). I do tecciment but just read the description first incase you’re being silly like me and assuming things! I am not a lipstick person & mostly use lip tints and balms. This keeps my lips soft & hydrated whilst adding a hint of red but I find that the colour does not have a lot of staying power so I often apply this balm over a lip tint and that way I get both the moisture & colour. I really like this, nice colour, great ingredients. My only 'complaint' is that it is very sticky and requires you to smear it with your finger or similar (maybe that's just me). Got it in november beauty box. Sample size,i use it couples times a day,but it feels like it will never end:D really nice,and i like that it has tint of colour. I received this lip balm in my LF beautybox and I simply love this stuff. A little goes a long way and it's very moiterising. I no longer have chapped lips. My lips feel good now. I mostly put it on overnight, and I have babysoft lips in the morning. Will purchase the full size, just love it!!! I am a big fan of lip balms and chubby sticks, especially this time of year. 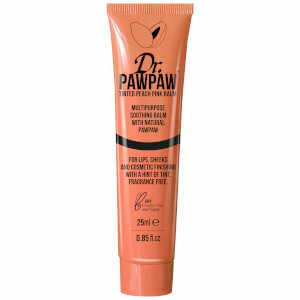 I hadn't tried Dr PawPaw before, but I got the limited Christmas edition of the red balm in my beauty box. You don't need to apply much for it to cover your lips. The balm goes on nicely, isn't too thick or gloopy and it has a nice subtle wash of colour with a sheen. Some lip balms dry your lips out more, so you have to keep applying, but it isn't the case with this one and it stays put for longer. I would definitely recommed this. It simply does the job as said on the tube. Lovely balm for someone like myself who usually wears no makeup for minimal makeup.